Indonesian peatlands are one of the largest carbon stores on earth and play a significant role in the regulation of greenhouse gas emissions and global climate change. Peatlands are also home to many endemic species of worldwide importance for biodiversity. Peat decomposition as a result of drainage for agriculture produces continuous emissions, while peatland fires contribute infrequent emissions and rapid peat decomposition. Peatland is particularly flammable when it is drained and dried after the vegetation is cleared. PT SMART Tbk (SMART) made an important decision to stop any development on peatland regardless of depth in 2010. We also recognise the need to rehabilitate peat to improve the quality of the environment and reduce fire risk. In November 2015, we launched the Peat Project at PT Agro Lestari Mandiri (PT AMNL) in West Kalimantan. Its primary aim is to prevent future haze-causing peat fires. 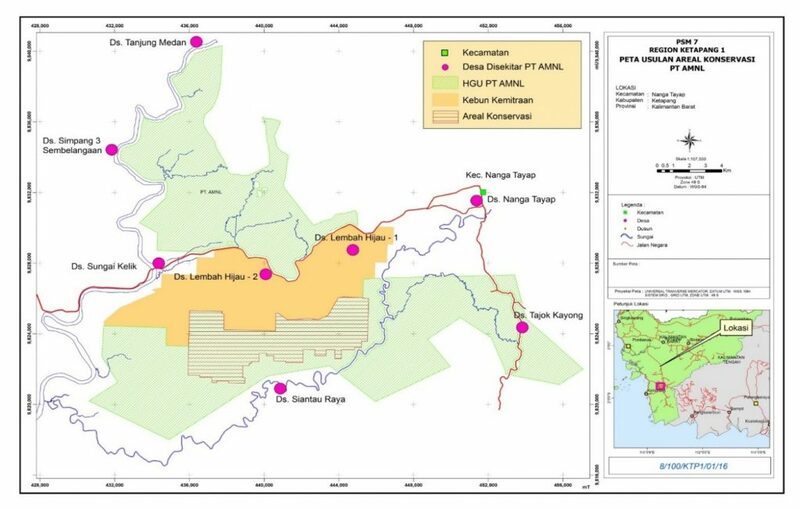 In PT AMNL, SMART manages a conservation area exceeding 2,600 hectares. Around mid-2015 SMART conducted a field survey which showed that there were three vegetation types in the area: peat swamp forest, dry lowland forest and freshwater swamp. More than 300 species of plants and 170 species of wildlife (birds, mammals, reptiles, and fishes) were found in the survey area. Unfortunately reassessment of the area via satellite imaging after the dry season in late 2015 indicated that almost all remaining forest cover has been affected by fires. The company is taking steps to rehabilitate the area in order to help prevent the recurrence of fires and avoid emissions in the future. SMART together with our parent company, Golden Agri-Resources (GAR) are collaborating with technical experts to rehabilitate the peat area to its natural state. Measures include restoring the peatland’s hydrology and water-table to reduce the risk of fire. Consultations are being carried out with the communities to involve them in efforts to protect the area.